This private sanctuary is a unique property. 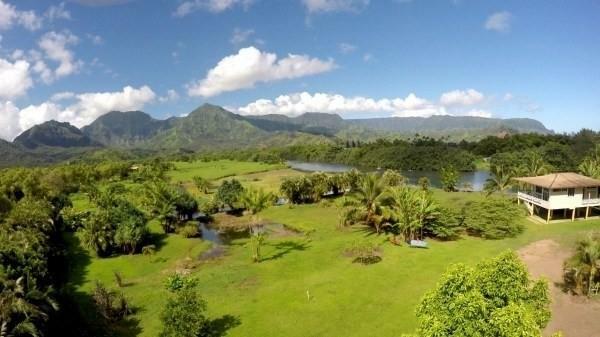 A five acre acai plantation on the Hanalei River. Surrounded by stunning mountain and river views, this special location is ideal for water and nature lovers. 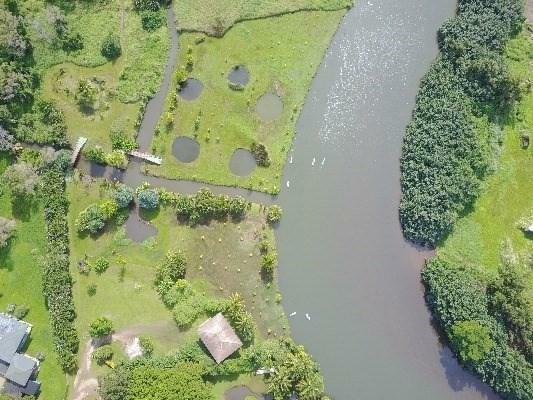 You have the opportunity to build a private waterfront retreat on 5 prime acres on the Hanalei River, with 500 feet of direct river frontage. Jump on your stand up paddle board, jet ski or boat and you will be in Hanalei Bay in under 5 minutes. 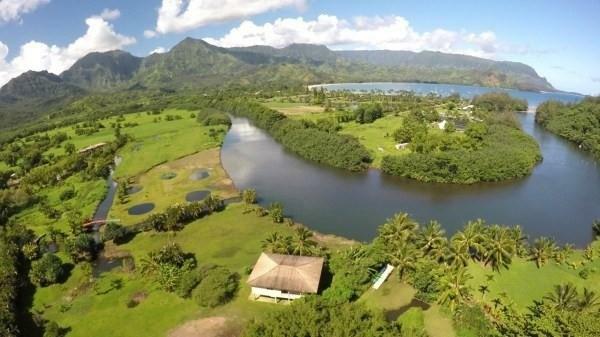 Live conveniently close to shopping, dining and activities, while maintaining a level of privacy and serenity that can be found nowhere else in Hanalei. An immaculate studio cottage already exists for your convenience consisting of 1460 sq.ft under roof. Live in the midst of rainbows and waterfalls, while designing the home of your dreams. Zoning is open, which allows 10% lot coverage. Since there is already an existing structure on the property, you will avoid the hassle of developing raw land. Historically a rice plantation and has now become an organic acai farm- one of the largest acai plantations in the state of Hawaii. Your front yard is filled with unique trees including acai, banana, cacao, coconut, guava, mango, panama cherry and a variety of palm trees. There are seven ponds, which are home to endangered birds, fish and lotus. The property receives special tax breaks and has an agricultural dedication till 2026. 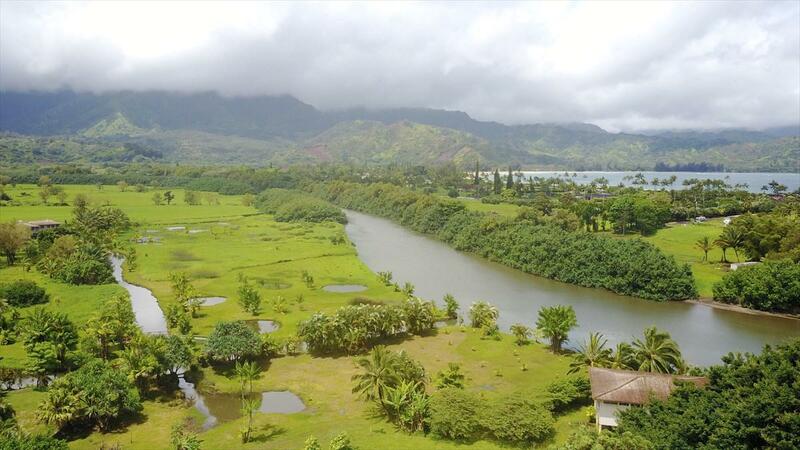 This land is truly one of a kind.Property withstood the last historic flood very well, faring better than most homes in Hanalei town. No insurance claim filed and not a drop of water touched the floor. Two days later property looked exactly the same as before the flood.